November 28, 2013 - New York Bankruptcy Court Judge Sean H. Lane on Wednesday approved the merger agreement between American Airlines parent AMR Corp. and US Airways under a settlement agreement brought on by the Department of Justice and several states. This settlement will allow the two carriers to merge, notwithstanding the D.C. District Court ruling. However, the court stated it would not take a position as to whether the D.C. District Court should approve the proposed final judgment and the settlement could be modified by the parties in accordance with the D.C. District Court. The court also ruled that the merger could take place despite any pending private antitrust lawsuits. The court further stated that American Airlines and US Airways must perform all of their obligations under, and to comply with the terms of, the settlement with the Department of Justice such as the selling of certain slots and facilities. AMR Corporation reported emergence from Chapter 11 and merger by the close of December 9. Consummation of AMR's Plan of Reorganization and the merger of US Airways Group, Inc. with and into a subsidiary of AMR Corporation is planned to be completed prior to the securities markets opening on Dec. 9, 2013. Assuming this expected schedule, the last day of trading of all outstanding securities of AMR, including the common stock trading under the symbol "AAMRQ," and the common stock of US Airways Group, Inc. (NYSE: LCC) will be Dec. 6, 2013. 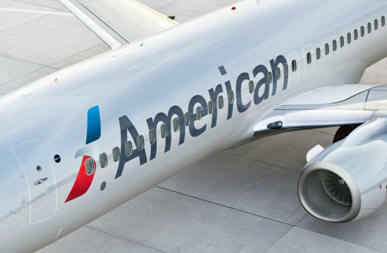 Upon the anticipated closing of the merger on Dec. 9, 2013, AMR Corporation will be renamed American Airlines Group Inc., with its common stock to be listed and traded on the NASDAQ Global Select Market under the symbol "AAL" and its preferred stock to be listed and traded on the NASDAQ Global Select Market under the symbol "AALCP." At the time the Plan of Reorganization becomes effective and the merger closes, each outstanding share of US Airways Group, Inc. common stock will be converted into one share of American Airlines Group Inc. common stock and substantially all pre-Chapter 11 unsecured claims against and outstanding equity securities of AMR Corporation will be satisfied by American Airlines Group Inc. common stock or preferred stock in accordance with the Plan of Reorganization. Judge Lane said the Settlement is fair and reasonable, supported by sound business reasons and judgment and otherwise satisfies all of the standards applicable to approval of a settlement under Bankruptcy Rule 9019.